The sun was shining, it was early spring and we were off on yet another adventure, this time to Carey’s Manor and SenSPA. After a couple of G&Ts at a famous golf course nearby, we were ready to check out the country house hotel and spa. Mr Musings noted that he was ready to dive head first into the pool approximately 20 seconds after stepping out of the car. I pre-banned him from doing this until we had checked into the hotel and consumed at last one glass of Champagne on the lawn (it was the hottest day of the year so far). As we approached Carey’s, we commented on the quintessential ‘Britishness’ of the house and surrounding area. Expect greenery, Pleasantville-style dog walkers and cattle grids (which I has previously assumed were called ‘horse poles’). There is a shop close by, where you can pick up essential items such as tequila, toothbrushes and Tatler. The shop has a kebab shop inside of it, also good for those emergency pitta bread / chips / garlic mayo moments. The reception staff at Carey’s are friendly and knowledgeable. They feel like real ‘locals’ and you’ll be inclined to trust their suggestions for walks and activities in the local area. The lady on the front desk rightly assumed we’d be gin lovers and told us to try a few locally made gins in the hotel bar, which houses an extensive selection. We checked into a room on the ground floor of the hotel, which had doors leading out onto a floral lawn in a walled garden. There are discreet dividers between each room so that you can sit on the two wooden chairs provided without seeing your neighbours. Just be careful of your conversation topics, because Sue and Steve from Leeds are probably only a metre away, also enjoying a glass of Prosecco (in silence). The room included the usual amenities (kettle, robes, magazines) with additional special touches such as White Company bathroom products and locally made dark chocolate. The hotel is an official ‘spa’ hotel, so don’t feel shy about walking through the corridors or sitting outside in a robe. Everyone is at it. We had Hamman massages booked within a couple of hours of our arrival. We were shown down to the extensive spa area of the hotel, where we promptly uncovered many excellent facilities. Mr Musings and I were not too sure what to expect from the Hamman mud-slathering experience (we usually book a Thai or sports massage), but after 60 minutes, we emerged from our treatment rooms feeling very relaxed indeed. If you’re looking to float off into a dreamlike state of calm, this is a good place to start. Mined in the Atlas mountains in Morocco, Rhassoul mud has been used for over 1400 years. Lying on a warm, traditional Moroccan Hammam slab, the therapist begins by running warm water over your body. This is followed by a full body Rhassoul mud massage using Swedish techniques, relaxing and soothing muscles whilst easing out tension and knots. The mud is washed off and a nourishing balm is applied to moisturise the skin. 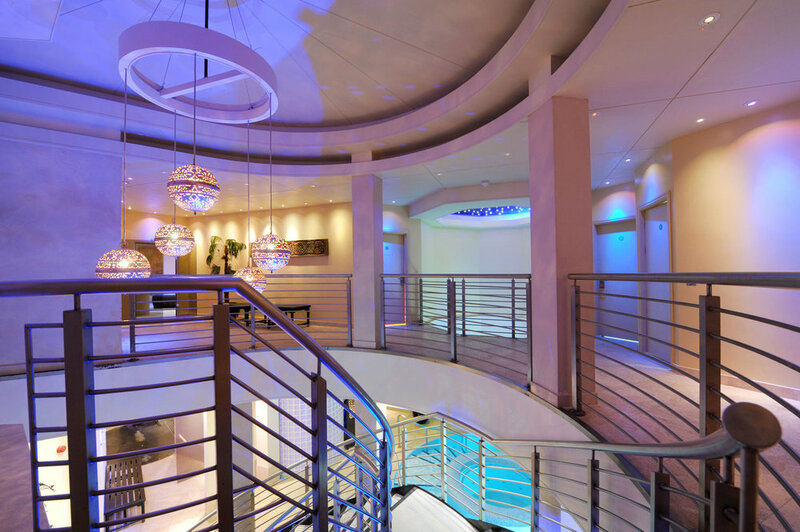 Spa facilities at Carey’s include a large Hydrotherapy Pool, Herbal Sauna, Crystal Steam Room, Experience Showers, Ice Room, Relaxation room, Thai Temple studio, Gymnasium, Zen Garden Thai Restaurant, SenSpa Boutique and lots more. Surrounded by forest tones and foliage detail, the restaurant pays homage to the New Forest with a menu and decor inspired by nature. Head Chef Alistair Craig’s traditional dishes showcase the rich natural resources of the local area. If you’re looking for a quintessentially British dining experience, this is a really good restaurant to explore. Mr Musings decided to go vegetarian with me in the Cambium restaurant, ordering the Tarragon Gnocchi with Smoked Mushroom, Courgette and Herb Puree (very out of character). This dish was light and flavoursome and included fresh produce grown on site. I decided on a fabulous ravioli-esque Agnolotti dish, which came with butternut squash, pine nuts, sage and cavolo nero. On the wine front, we enjoyed a red Bolney Estate Pinot Noir from Foxhole Vineyards in Sussex, which is a great match for Anglo-Italian food. There is an in-house expert at Carey’s who can talk you through the British wine list if you are struggling whether or not to side with Kent or Berkshire. Another highlight of this relaxed dining room is the fact that vegans are fully catered for with an entire vegan a la carte menu. No need to order ‘the cod dish without the cod or pancetta, just the peas, beans and turnips’. 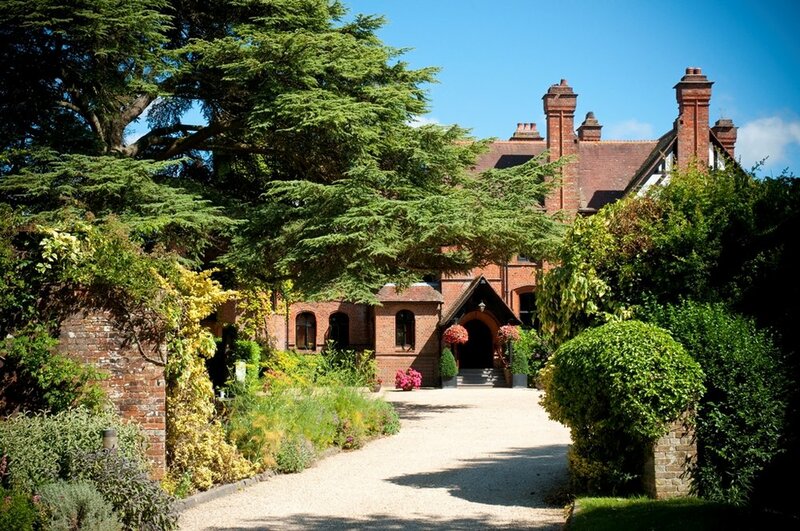 Please contact stay@careysmanor.com or call +44 (0) 1590 623 551.